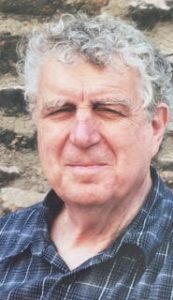 With the death of Tony Cowie towards the end of 2015, the lexicographic community has lost not only a distinguished and influential scholar, but an immensely popular and well-loved colleague. Tony was 84, and – though long retired from his position as Reader in Lexicography at the University of Leeds – he continued to work actively until ill health intervened. After an early career in English-language teaching and teacher-training, Tony shifted his focus to linguistics and lexicography. Working with A.S. Hornby in the early 1970s, he began his long association with English learner’s dictionaries, co-editing the Third Edition of the Oxford Advanced Learner’s Dictionary (OALD), and becoming its Chief Editor for the Fourth. He combined his role as working lexicographer with his teaching and research at Leeds, and he leaves an impressive body of work, notably in the field of phraseology. A founder-member of EURALEX, and an Honorary Member since 2004, Tony was also Editor of the International Journal of Lexicography from 1998 to 2003. Tony Cowie was born in Yorkshire in 1931 and had a peripatetic childhood, as his father’s army regiment moved to various parts of what was then the British empire, before settling in the UK just before the start of World War Two. After the war, Tony studied Modern Languages at Oxford, and then took a postgraduate course in English Language Teaching. In 1956, he went to Nigeria as an English Language Officer, and taught at the Government Teacher Training College in Ibadan. In 1963, Tony and his young family moved to Edinburgh, where he took a postgraduate diploma at the School of Applied Linguistics, University of Edinburgh, studying under Ronald Mackin – with whom he later collaborated on two Oxford dictionaries of idioms. With a theoretical grounding in linguistics and practical experience as a language teacher and teacher-trainer, Tony was well qualified for his next role, at Leeds University’s School of English, where he became a temporary lecturer in English Language and General Linguistics (1966). This was the beginning of a long academic career at Leeds, where he worked until his retirement, becoming Reader in Lexicography in 1992. For anyone with a professional or academic interest in monolingual learner’s dictionaries, Tony was the leader in the field, as both practitioner and thinker. His English Dictionaries for Foreign Learners (1999) was for many years the definitive survey of the subject, and it remains a classic. In the first part of the book, he describes the pioneering work of Harold Palmer, Michael West and A.S. Hornby. Like Tony himself, Palmer had started as an English teacher (in his case, in Japan) and then became a linguist as he sought to make sense of the language system and the language-learning process. Tony’s book records Palmer’s brilliant observation that “it is not so much the words of English nor the grammar of English that make English difficult, but that vague and undefined obstacle to progress…consists for the most part in the existence of so many odd comings-together-of-words” (our italics). These “odd comings-together” were at the centre of Palmer and Hornby’s thinking about languages and how we learn them. Hornby worked as Palmer’s assistant at the Tokyo-based Institute for Research in English Teaching, and what later became the OALD began life in 1940 as The Idiomatic and Syntactic English Dictionary – the title reflecting the dictionary’s focus not so much on individual vocabulary items but on the way words combined to create meanings. A glance at Tony’s own extensive bibliography confirms that he followed directly in this line. Most of his early papers deal with syntax, collocation and idioms, as he explored practical ways of overcoming the difficulties these linguistic features posed for learners of English. These issues were a central theme of the EURALEX Seminar on the Dictionary and the Language Learner, which Tony organised at Leeds in 1985. The conference proceedings, edited by Tony, were published in 1987 as The Dictionary and the Language Learner, and this helped to establish pedagogical lexicography as an important strand in dictionary research. In 1994, he hosted the first International Symposium on Phraseology at Leeds. With his encyclopedic knowledge of the field, Tony ensured that the conference provided a comprehensive overview of phraseological scholarship by bringing in researchers from the vibrant eastern European tradition along with familiar faces such as John Sinclair, Rosamund Moon, and Igor Mel’cuk. A collection of papers from the conference (Phraseology: Theory, Analysis and Applications), co-edited by Tony and his Leeds colleague Peter Howarth, appeared a little later. “Applications” is a key word here, because Tony applied his research interests as a working lexicographer, compiling (with Ronald Mackin and Isabel McCaig) two original, evidence-based dictionaries of phrasal verbs and phrasal idioms for OUP, and above all following Hornby at the helm of the Oxford Advanced Learner’s Dictionary. Under Tony’s editorship, the OALD broke new ground, further developing Hornby’s description of the syntactic, collocational and phraseological features of complex English words. The Fourth Edition (1989), of which Tony was Chief Editor, was substantially larger than its predecessor, weighing in at almost 1600 pages, compared with just over 1000 pages in the Third (1974). As well as greatly expanding the dictionary’s coverage, OALD4 introduced a completely new system for describing a word’s syntactic behaviour. The complex, non-transparent inventory of 51 “Verb Patterns” (VP18a, VP6D, and so on) was replaced by a simpler, more pedagogically-appropriate notation, making this information more easily accessible to its intended users. With this and other innovations, the OALD maintained its position as the market-leading learner’s dictionary, even as new competitors entered the field. Meanwhile, Tony continued to publish a series of insightful papers on phraseology, syntax, and just about every aspect of pedagogical lexicography, ending with a contribution on “Dictionaries, Language Learning and Phraseology” in the IJL’s Silver Jubilee issue of 2012. His last major work was as Editor of (and contributor to) the magisterial two volume Oxford History of English Lexicography (2009), a hugely important collection which included chapters on every facet of its subject. Aside from his life as an academic, writer, and lexicographer, Tony had an extensive “hinterland”, his interests ranging from amateur dramatics (apparently encouraged by his parents’ one-time neighbour, the actor Peter Cushing) to cinema, music and art. Above all, he was a devoted husband and father. Those of us who attended the 1985 EURALEX Seminar at Leeds have fond memories of Tony’s young children apparently taking a leading role in the conference’s day-to-day organisation. Though a true polymath who has had a huge influence on our field, Tony was self-effacing and wore his learning lightly. He was always a delight to listen to and talk with at EURALEX Congresses and other events where lexicographers’ paths cross. We shall miss him enormously, and we send our thoughts and condolences to his wife Cabu and his six children. 1 We are grateful to Tony’s wife Cabu and son Nick for providing information about Tony’s life outside lexicography.